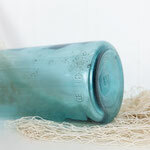 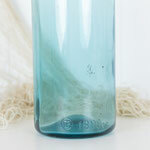 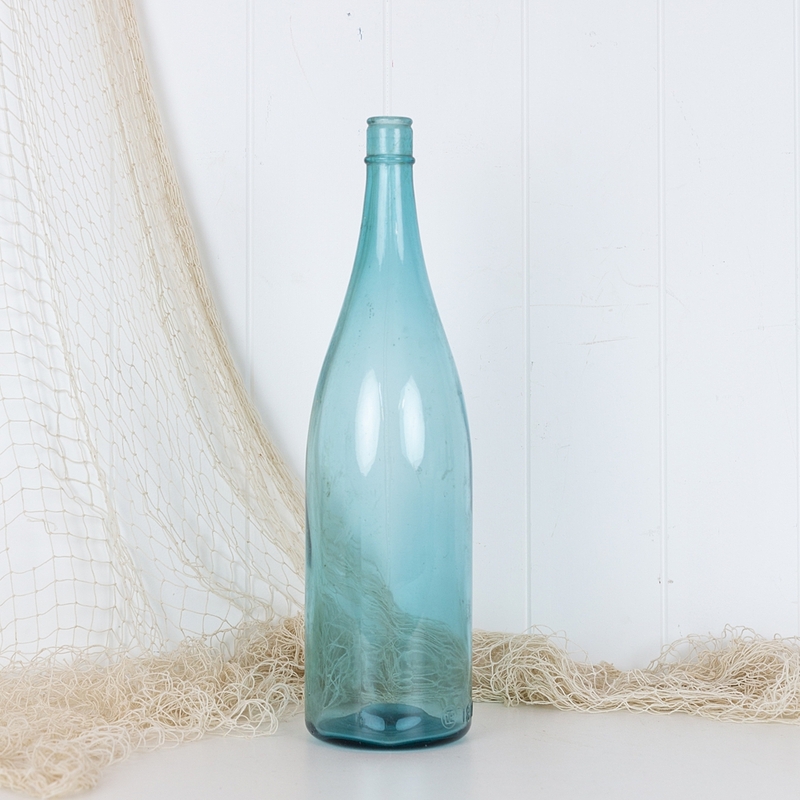 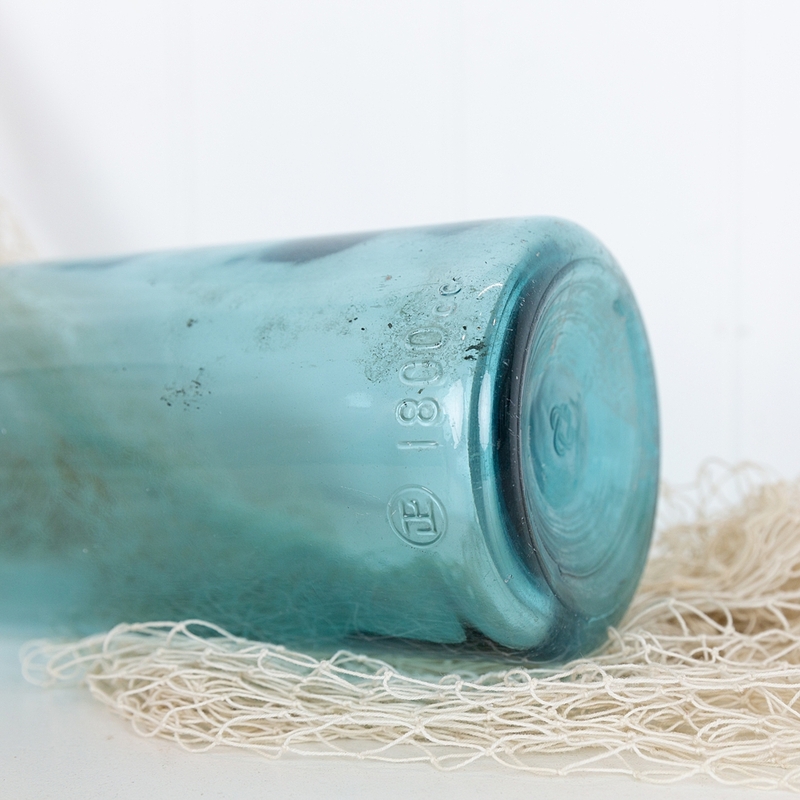 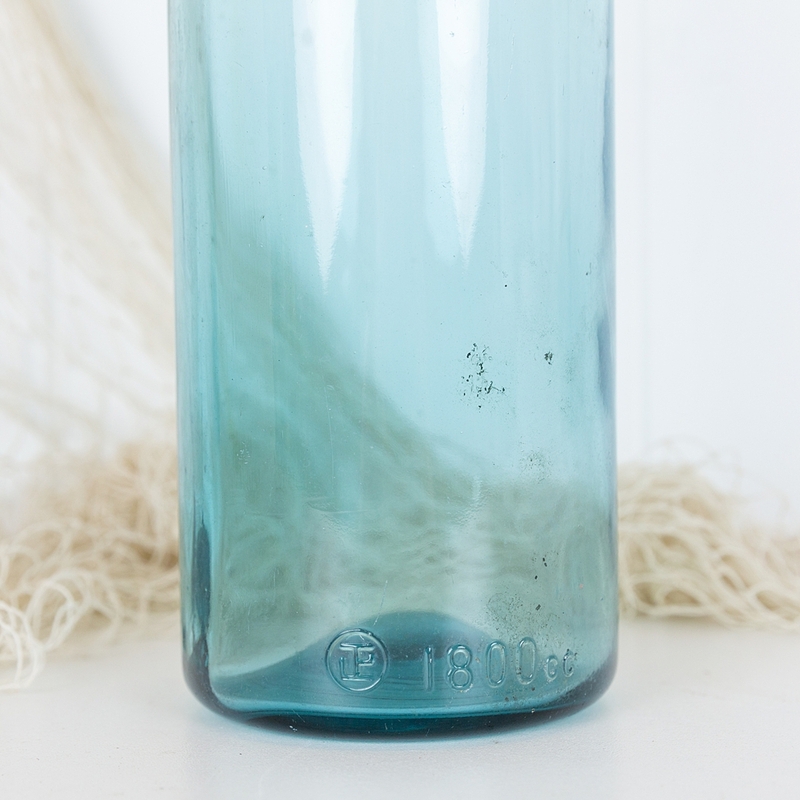 What was once kept in this large blue bottle is unknown, but the colour of the glass is very beautiful. 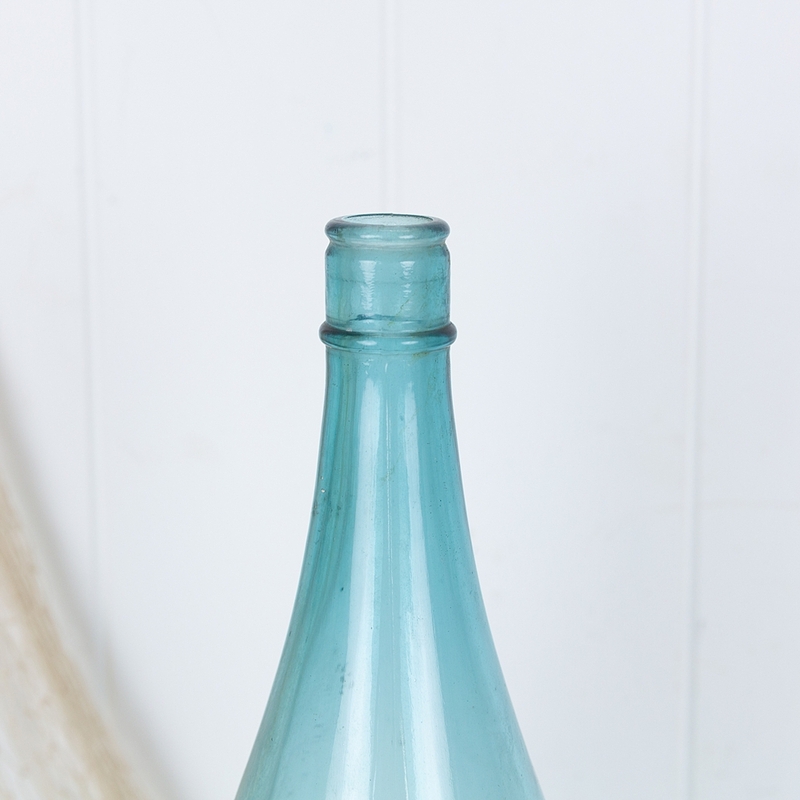 A marking on it's side indicates that it holds 1800cc or 1.8 litres which is slightly larger than the size of a magnum. 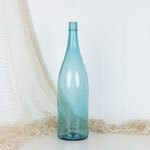 It would look wonderful with a palm frond or stem of tried cotton.